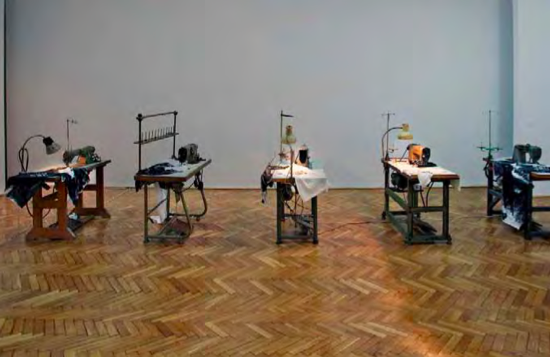 9 shirts, hand painted slogans, old sewing machines. 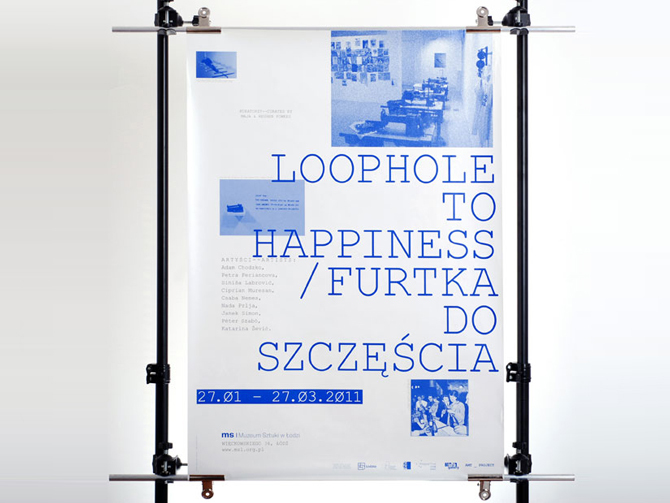 Installation as part of Group exhibition Loophole to happiness at amt_projects, Bratislava. 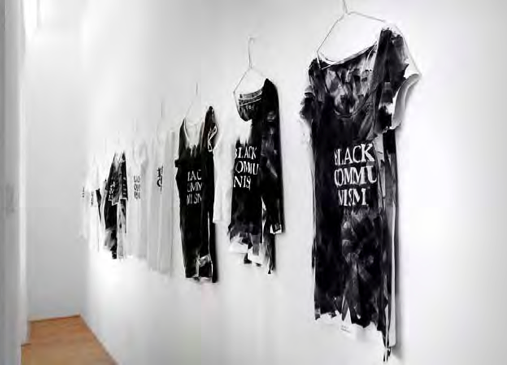 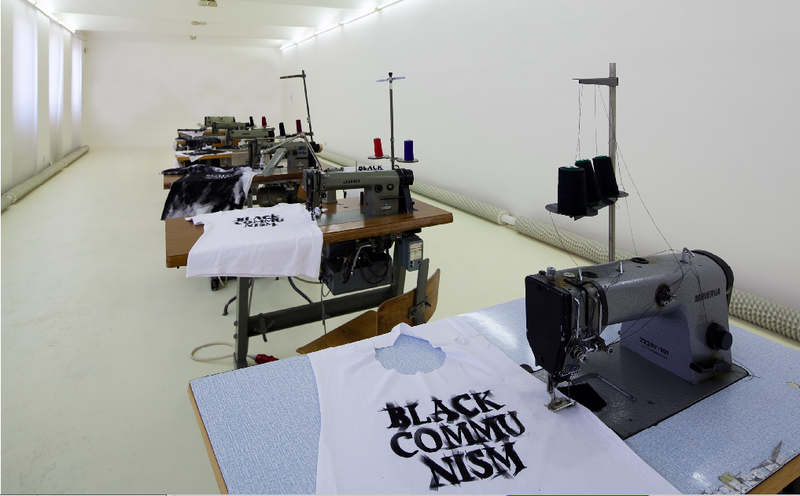 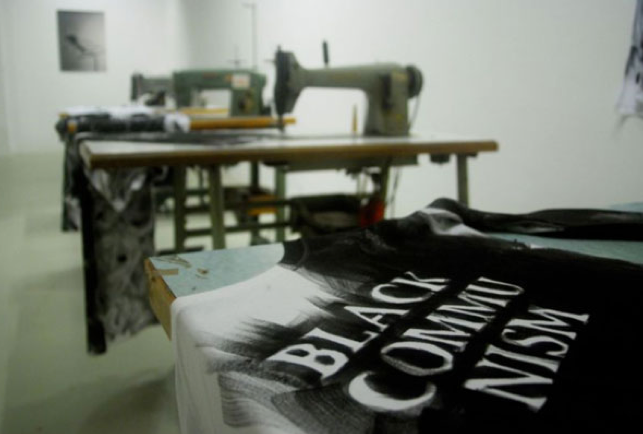 Black Communism, 9 shirts, hand painted slogans. 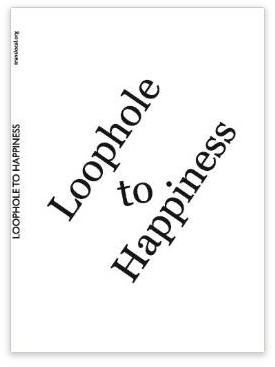 2012 Read more..